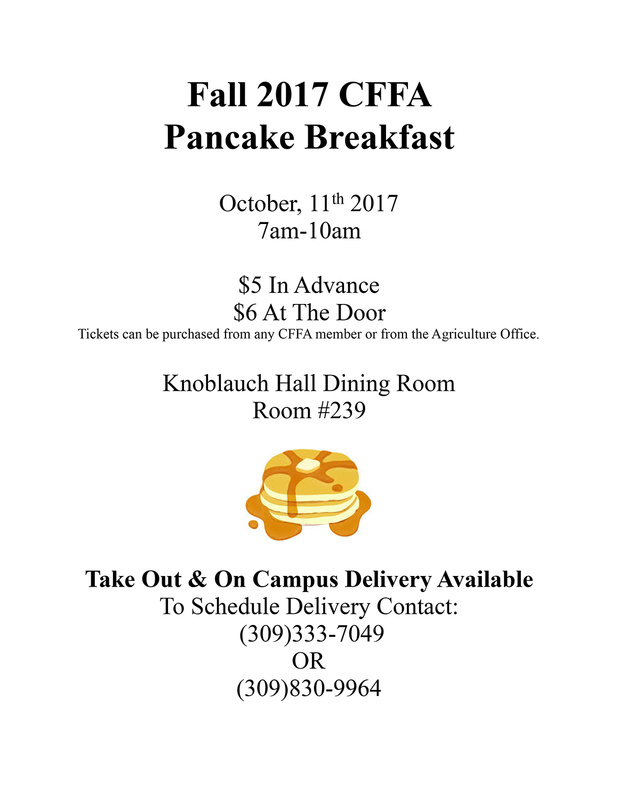 MACOMB, IL - The Western Illinois University School of Agriculture Collegiate FFA (CFFA) Pancake Breakfast will be held from 7-10 a.m. Wednesday, Oct. 11 in the Knoblauch Hall Café, room 239. Take-out and delivery will be available. The event will feature an all-you-can-eat pancake breakfast that also includes sausage links, biscuits and gravy and a drink. 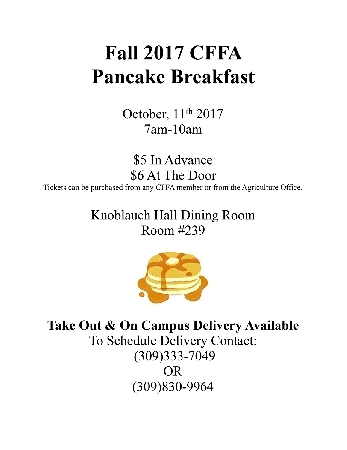 Tickets are $5 in advance or $6 at the door and can be purchased from a CFFA member or in the WIU School of Agriculture office in Knoblauch Hall, room 145.